Kind of crazy considering am a single mom working full time, but I volunteered to be room parent for Katie’s kindergarten class. I didn’t do much, just attended some meetings and did a lot of emailing. One thing I did want to do as a room parent was to rally the troops and get something for the teachers. Katie’s kindergarten teacher is just soooo awesome. 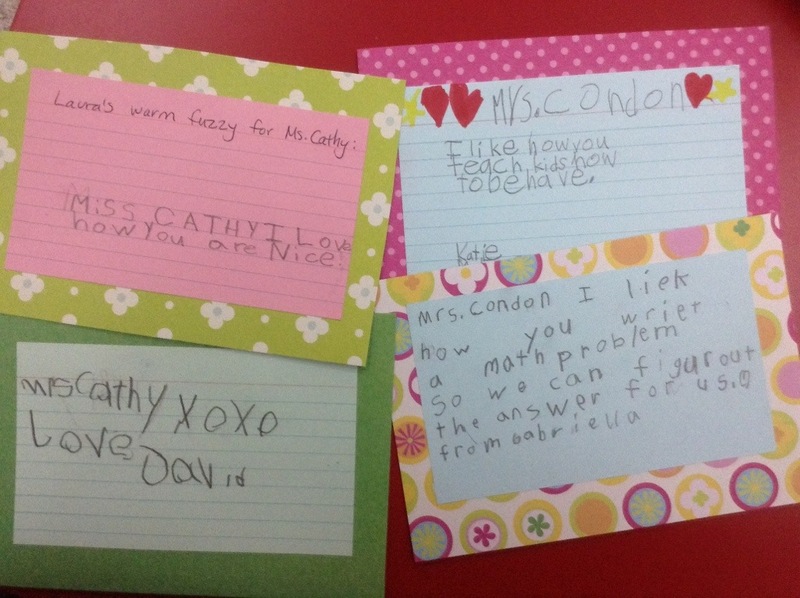 Every day during morning meeting she has the kids say compliments (aka warm fuzzies) to each other. I figured this would make a great companion to our year end present for her and her assistant. Still waiting for the rest of the index cards to come back but here is how they will look like before they get put in a photo album with their class picture. Index cards and pretty paper go a long way.